Energy is a major expense for Florida State University. We are striving to lower energy cost, which also reduces our carbon footprint. Visit our site and see what we are doing at Florida State University. The Florida State University energy conservation programs has resulted in millions of dollars of energy savings over the past 20 years. As with any program, we are always seeking new and innovative ways to further conserve energy. 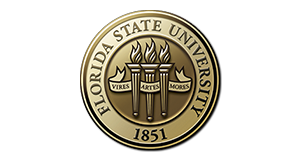 On September 1, 2017, Florida State University entered into a 5 contract with Cenergistic LLC to supplement our campus energy conservation program. The program goals include conserving energy, saving dollars the university can reinvest, preserving a quality learning environment for students and increasing awareness to empower energy users to be energy savers. We have developed a comprehensive set of Program Guidelines. While these guidelines are not intended to be all-inclusive, they form the core of Florida State University’s energy conservation program. The guidelines generally define the role of Cenergistic’s energy specialists and describe how FSU team members will participate. Over the life of the five-year contract, Cenergistic will perform on-site, ongoing assessments of the university’s facilities and deliver recommendations specific to its environment. Cenergistic’s energy specialists will primarily be responsible for identifying savings opportunities and working closely with university staff to implement strategies linked to energy consumption. The Program Guidelines will be used to keep both organizations focused in areas likely to achieve results. The agreement is hinged on a shared responsibility concept in which Cenergistic provides resources to support the goals of the FSU energy conservation program. Attached is a copy of the program guidelines that will define the official energy conservation guidelines of Florida State University. Click the link below to review the entire program guidelines. Reducing energy and resource usage is an ongoing process. Even though we are in a period of time where utility rates are stable, saving energy does save money. Over the past decade, Florida State University has followed the principle that to improve, we need to measure. The result has been reductions in our total usage per square foot of utilities. Click here to see what we measure. Our energy approach is extremely simple. We want to achieve a 7 year or less payback on all energy projects. The calculation is also simple. We divide the estimated project cost by the estimated savings. Projects that meet the 7 year requirement are executed. Low ROI projects are bypassed in favor of better projects. By promoting projects with the best returns, we maximize energy savings and sustainability efforts. A project can either be eliminated, approved, or sent back for additional review at any of the gates. Only the best projects make it to the active projects list. The goal is to focus our limited resources on the right projects that deliver the greatest return for Florida State University. *The Stage Gate process was designed for new product development to assure that only the best products were launched. The actual Stage Gate process has gates that focus on the process development and commercialization phases that should occur prior to product launch.